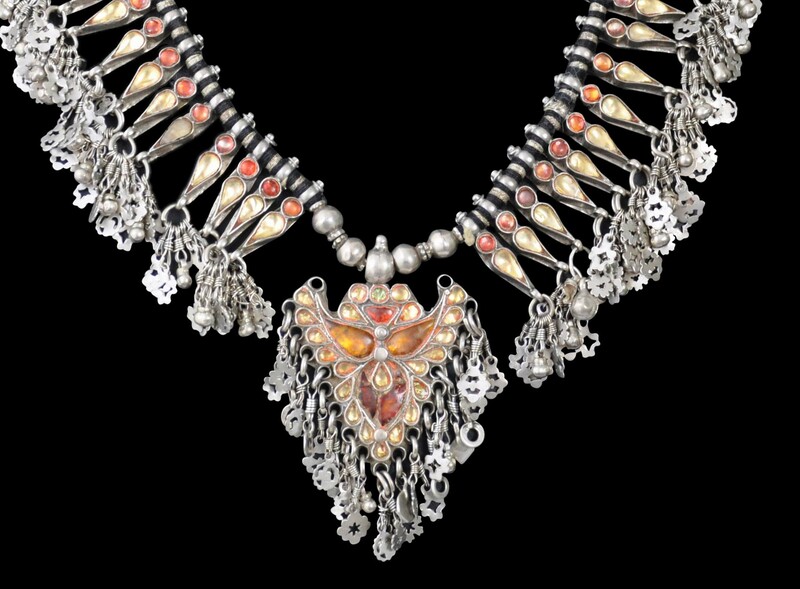 This fine silver necklace is from the estate of the renown Indian jewellery expert Oppi Untracht. 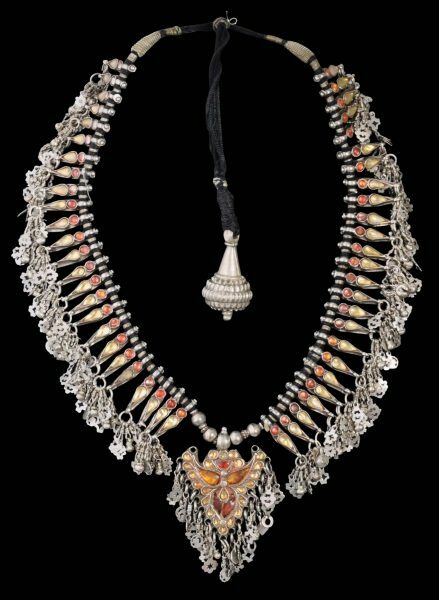 It is also published in his seminal book Traditional Jewelry of India on page 37. Known as a champkali har necklace, it is from Delhi, and shows Mughal influence in the way that metal and glass have been used to emulate large, flat-cut diamonds. Each of the fifty bud forms has been set with red, yellow and silver foil-backed glass. From each of these is suspended multiple stamped silver jangles, providing the necklace with a dramatic ‘fringe’. The necklace is threaded on a black cotton twisted cord, and has a large bud-like silver finial which allows the length of the necklace to be adjusted. The necklace is stable, wearable and in excellent condition. Untracht, O., Traditional Jewelry of India, Thames & Hudson, 1997 – page 37.